Hoi Bill, zou de was daar echt drogen. 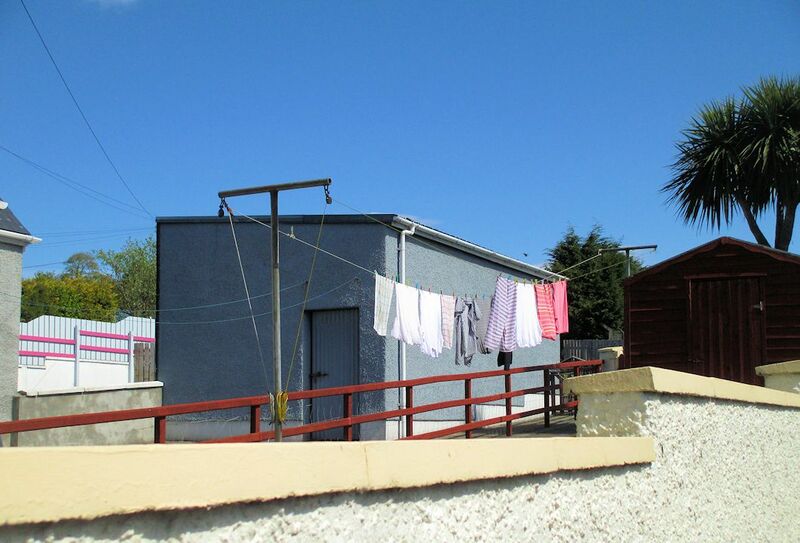 Those washing lines look very professional to me and so the shed behind. Is it belonging to a house or is it something else? This belongs to a house. I pass this house on the way to the community garden. It will dry soon in this lovely weather. Há que aproveitar o sol que é barato e ecológico. Makes me always happy , to see the laundry drying in the wind. I still do so. ...something that I rarely see today. The best way to dry the laundry! Fun shot, Bill! & there were no unmentionables on view either! Love the image. Years ago I found a blog that had photos of laundry on outside lines, gathered from all over the world. I loved it but unfortunately lost the link, never to recover it again. This photo is unique among those I have seen. laundry day! i bet they smell so good! When I was growing up, I always loved that fresh air smell from clothes dried in the sunshine. Nice play on words in this one. Reminds me of my childhood. Great capture, Bill! Your title is so clever, Bill. And the capture even more so. That's not something you see around here very often, although our neighbor does dry her clothes on a clothes line sometimes. Most everyone has dryers now, though. It is always nice to see this. It's a flashback to older times. The clothes when drying outdoors smells very good. Nothing quite like clothes that have dried on the line. Hung a few out myself, today. Nice picture! Hanging clothes out to dry used to be one of my chores when I was a kid. Best use of solar energy! I like all the different lines, and the colours are good too.